Playing along with a few challenges today. I’ve heat-embossed the cupcake in white and then added some watercoloring with Distress Ink. For some added sparkle…some Lime Green Stickles and my usual smattering of sequins. Simple and quick to do. The sentiment is from Simon Says Stamp and the cupcake is from Kanban. Had to play along with my dear friend Loll’s brand spanking new CAS Mix Up Challenge. She and Bonnie have come up with a new challenge near and dear to this girl’s heart 🙂 What could be better than CAS and mixed media??? My “choice” is heat embossing and an additional choice being the Stickles. 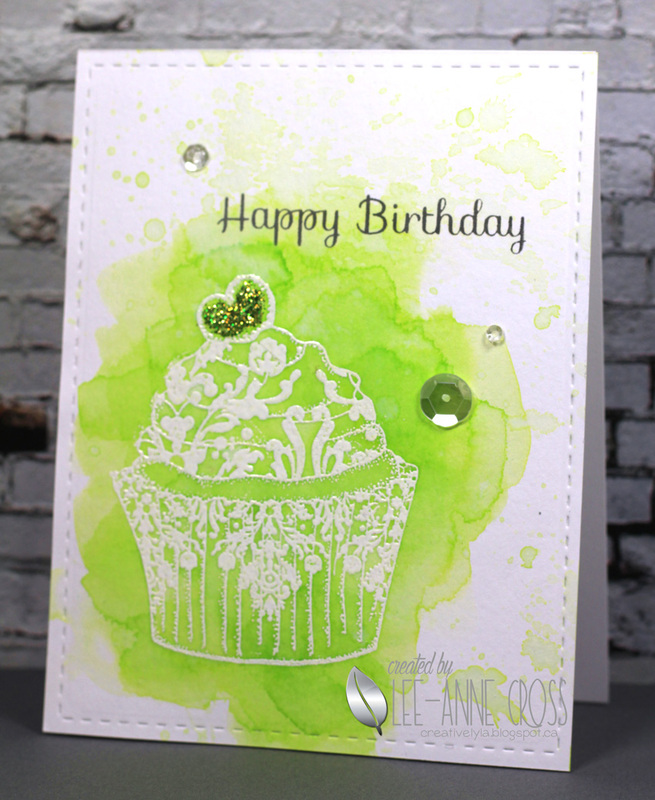 And Curtain Call has a new challenge out which inspired my lime green cupcake design. Also, Simon Say Stamp’s latest challenge is “touchy feely”…so this works for that too with the rough texture of the Stickles on my cupcake. Author Lee-Anne Cross DesignsPosted on March 2, 2016 October 7, 2017 Categories birthday, Distress Ink, Kanban, Simon Says Stamp, watercoloring12 Comments on Margarita Cupcake Anyone?